David Alan Sapp is Professor of Educational Leadership in the School of Education at Loyola Marymount University in Los Angeles, where he teaches in the Doctoral Program in Educational Leadership for Social Justice. Dr. Sapp joined the faculty at LMU in 2015 following fourteen years at the Jesuit institution Fairfield University in Connecticut, where he served as Professor of English and Associate Vice President for Academic Affairs. Dr. Sapp earned his Ph.D. in Rhetoric from New Mexico State University and is a graduate of the Institute for Educational Management in the Graduate School of Education at Harvard University. As a specialist in technical writing with expertise in civic/community engagement and social justice, organizational communication, and educational program development, Dr. Sapp has done fieldwork along the U.S.-Mexico border, as well as in Brazil, China, Cuba, Nicaragua, and Spain, along with archival research in Uruguay. This work has explored the ongoing struggles of disenfranchised populations, including civic development projects and environmental activism. His recent research projects include a book on teaching students who speak English as a second language published by Bedford/St. Martin’s Press in 2014, and, in 2013, a special issue of the Journal of Rhetoric, Professional Communication, and Globalization that he co-edited on human rights and communication. Dr. Sapp has also recently served on collaborative research projects on the topics of teacher credibility, student motivation, and conflict resolution that have been published in the International Journal of Communication, Communication Education, the Journal of Communication Studies, Communication Research Reports, and Communication Currents. 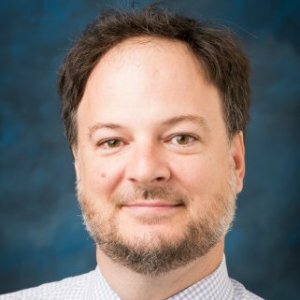 In 2009, he co-edited a book on feminist pedagogy published by Johns Hopkins University Press, and in 2010, Dr. Sapp won a top research award from the Association for Business Communication for an article on the assessment of student internship experiences. This advanced research course focuses on a variety of qualitative research methods and designs for diverse educational settings, including ethnography, observations, interviews, and case studies. The research will be focused through the lends of social justice.